Alexa, What’s My Principal® Flash Briefing? more, visit us at principal.com. 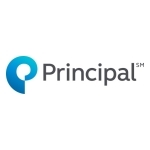 member of the Principal Financial Group. Amazon Alexa is a trademark of Amazon.com, Inc.